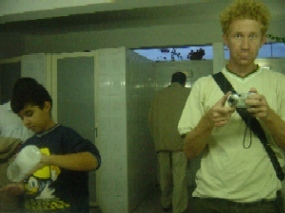 I took this photo in the toilets of a motorway services area near Larache (Morocco). Just time to fill up the tank of my car, and empty mine.Vanessa, Fran�ois and Jerome were my road fellows...(not on the picture! ).